Take two former lawyers with great taste and a whole lot of gumption then y’all have got the foodie heaven of West Egg. Atlanta’s up-and-coming Westside is history in the making, thanks in part to businesses like this new restaurant. Owners Jennifer and Ben Johnson met while attending law school at Duke. Right before graduation, Ben popped the question and they’ve been together ever since. They both practiced law at large firms in Atlanta following law school before Jennifer got the itch to open a restaurant then left her practice in about 2002 to start working on what would become West Egg. 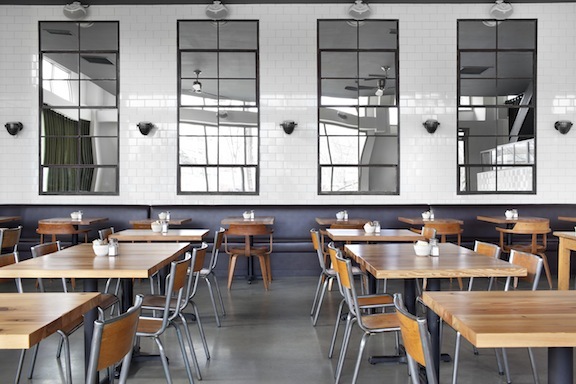 “It was opened on a shoestring, with friends and family rallying round to help paint, build and otherwise turn a raw space into a slightly less raw restaurant,” the couple explained. Ben kept his day job for several more years before joining West Egg full time in 2007. 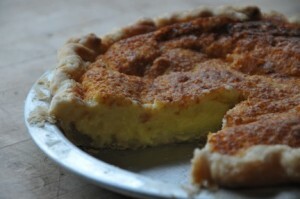 Buttermilk Pie crafted from Ben's grandmother's recipe. The Seersucker. 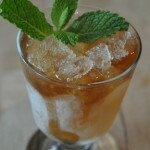 Imagine a Mint Julep...but even better! On one afternoon, this PrettySouthern writer found herself writing with an iced cafe au lait, which lead to a beer sampling and then a piece of buttermilk pie! For more information on West Egg, check out their website and tell Ben and Jennifer that you saw them on PrettySouthern!